Tammy Garcia is known for her amazing pottery, as well as the creativity of her bronzes. This bronze is carved in the style she carves in her pottery, with various depths and layers. The parrot is surrounded by Pueblo designs along with plate motifs. 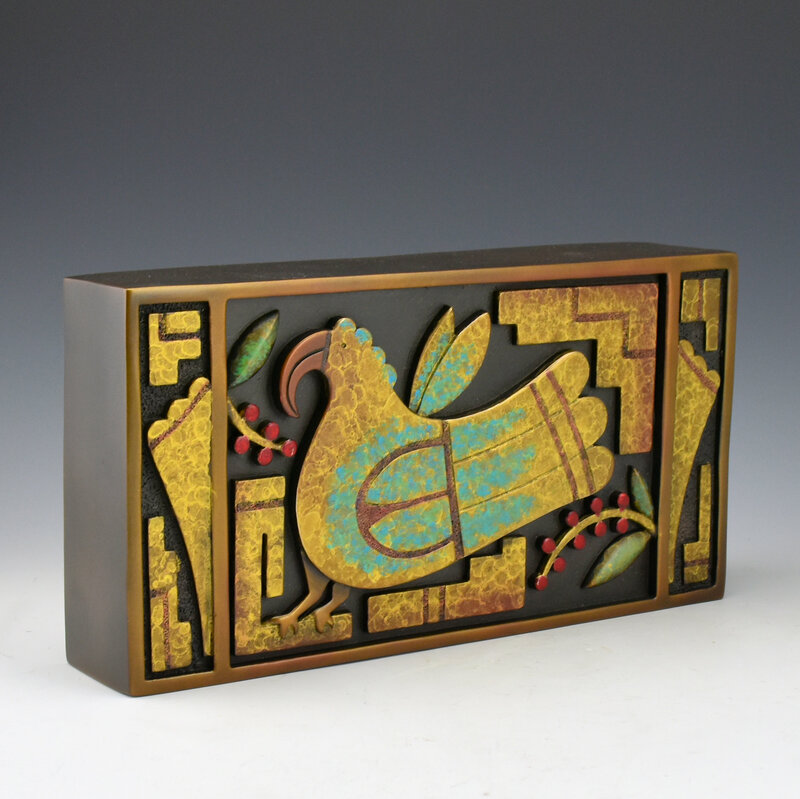 The imagery is certainly inspired by the parrots seen on Acoma and other Pueblo pottery. The piece is made to be hung on a wall or it can stand on it’s own. 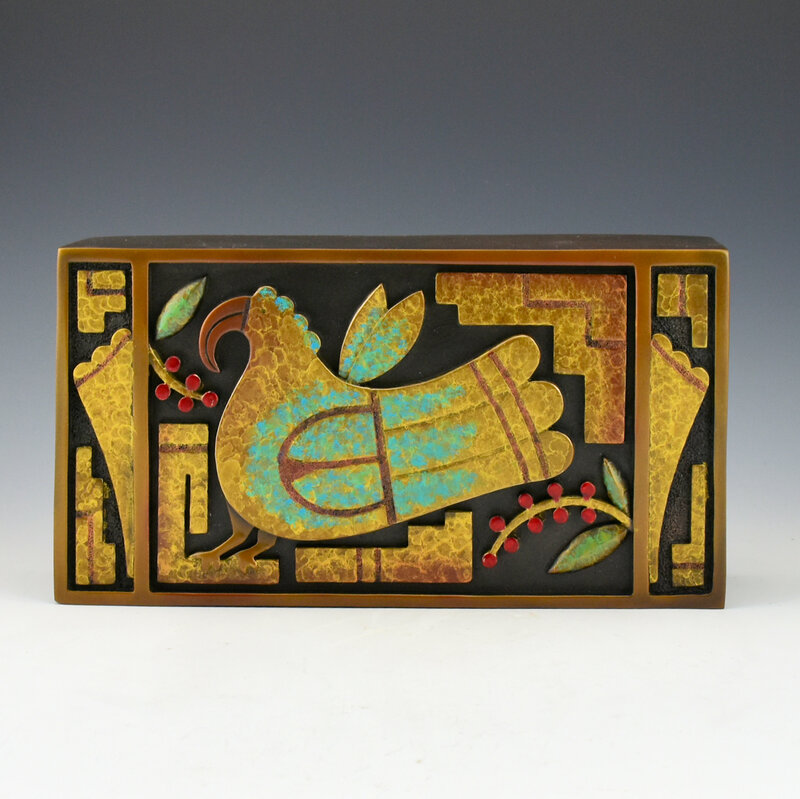 The piece has a striking use of patinas to enhance the coloration of the bird and the berries! The piece is signed on the side. It is the “AC” or Artist Copy of the bronze.